This page is about the city in Miami-Dade County, Florida. For the census-designated place in Broward County, Florida, see Miami Gardens, Broward County, Florida. 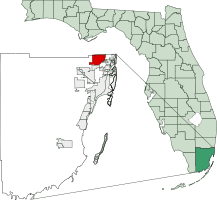 Miami Gardens, Florida Facts for Kids. Kiddle Encyclopedia.